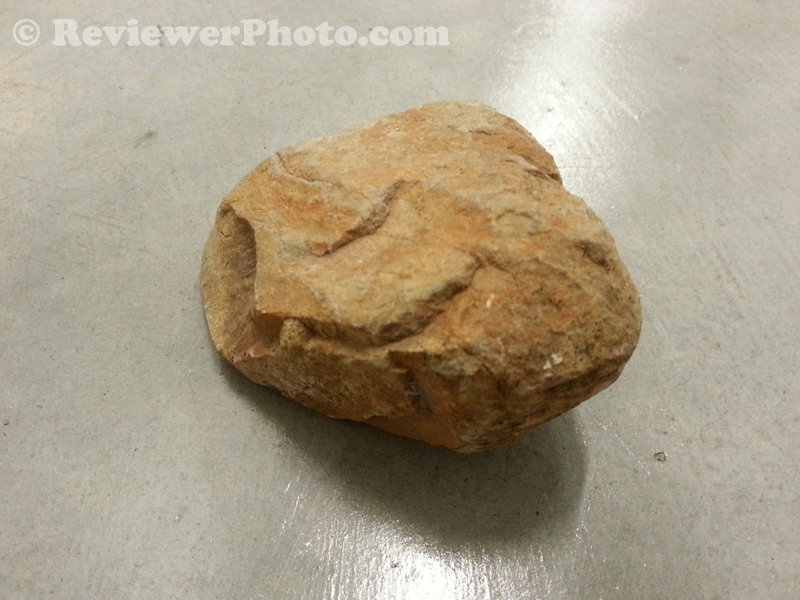 This is a piece of granite I took from the hills of North Penasquitos where I grew up. It’s not from the actual street from my childhood but close by, and the geology is pretty much the same all over there. It just means something to me for that reason, it’s from close to where I grew up. My parents bought the 5-bedroom, 2-bath house with the two car garage as a new construction in a new tract of homes in a quiet but long street topped by a cul-de-sac (don’t like the word “dead-end”) in 1969 before I turned 6. Ten years later my dad died, I moved out at 18, and against my mild protests mom sold the house six years after that in 1986 and moved to South Carlsbad. So this is a piece of what I still consider to be my childhood home turf full of lots of mixed but happy memories. I need to return it though. Don’t want to lug it around any more. Granite from th’ old hood.